And the rich flavors and tantalizing aromas are greatly anticipated around here. And one of my favorite recipes? I got this recipe from my sweet sister several years ago and the other day when I asked her where she got it, she remembered finding it on allrecipes.com. But we couldn’t find the exact recipe. But here’s the recipe that I love and can’t enjoy Thanksgiving without. Rub sweet potatoes with oil and wrap in tin foil. Bake in over for an hour or until tender. While potatoes are cooking, combine all other ingredients and mix well. After the potatoes have finished cooking, scoop out the centers and add it to the other ingredients. Mix well again and scoop back into the potato skins. Back for another 7-8 minutes until nice and hot. I don't usually like sweet potatoes, but this recipe sounds delish! I may have to try it! oh my goodness! this sounds scrumptious! These sound fabulous! You so inspire me! I just made a hat for my daughter out of an old sweater from one of your tutorials! I just love stopping by your blog for new ideas! Thanks for sharing your amazing talent! 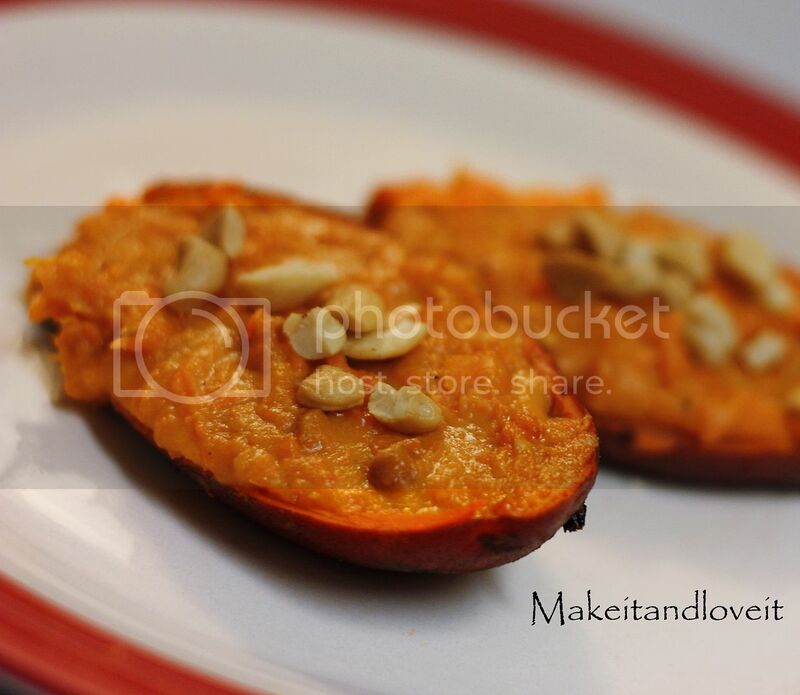 this recipe made me very hungry…and craving sweet potatoes! I'm going to try it, seems tasty.. This sounds so yummy (of course cream cheese makes everything yummy)! I posted a sweet potato recipe on my blog today to for my Go Nuts party, I would love it if you would link up this post! Sounds so yummy I will have to make some this week. I'm a new follower, I found your blog thru someone else's blog. Love your crafts :) very creative. I didn't think sweet potatoes could be any better than baked with maple butter and cinnamon. These sound heavenly!!!! Those look delicious! Just pinned them.